One of the many benefits of living an hour train ride away from NYC is that there is no excuse not to go in for the many trade events that are hosted throughout the year. One of those events was the Architectural Digest Show at Pier 92 & 94. This show did not disappoint and was full of artisans and inspiration for upcoming design projects. Since there were so many vendors this event will be broken into a series of post over the next day or so. For anyone that was not able to make it you can live vicariously through the many pictures, I took throughout the day! We will start off with my friend the super talented David Santiago of Casa Santi Interior Design, LLC. He collaborated with American Brass & Crystal to design and create these beautiful colored crystal chandeliers. These are hot off the production floor and made their debut at this event. They are absolutely stunning and will add that touch of originality and pazazz into your design. Insider info the stick chandelier’s were made to show a few of the available color options but they had so many requests that they will be available soon too! Eidos Glass which is handmade in Brooklyn had many unique pieces on display at the show. 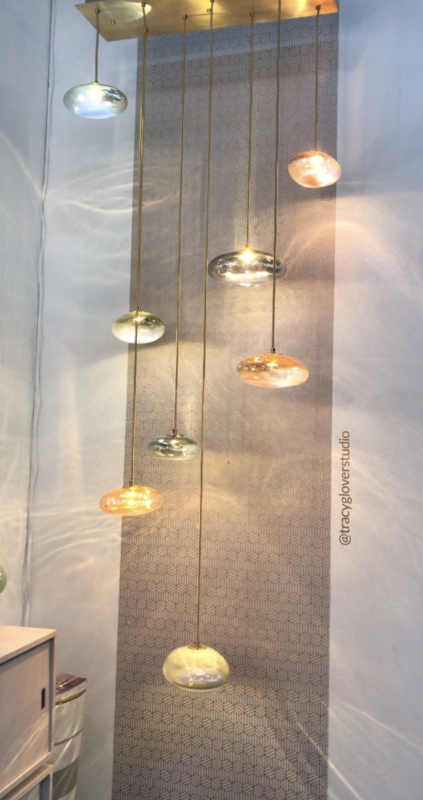 A local glass artist and designer who is living in NYC Jamie Harris Studio has beautiful lighting options! 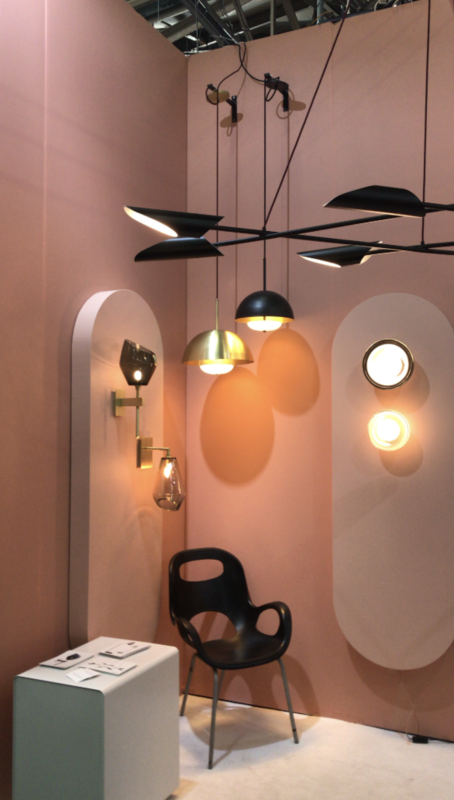 Loved these pendant lights from Keer Design. Zia • Priven had cool original lighting options. Providence Art Glass had fun colored glass in a contemporary styling that we LOVED!! Tracy Glover Studio had beautiful lighting and these sculptures as well! This Elizabeth Lyons sculpture was about absolutely stunning! She had lighting as well. Another vendor with beautiful lighting was Hubbardton Forge. Along with stunning furniture, Koket had awesome lighting as shown below. Lastly, Ngala Trading Co. had many original chandeliers on display. I need the universe to send me a client to use this lighting in their next project! There you have it the many vendors on display at this year’s show with unique original designs that can be used in your next project. As David said to me today his clients don’t need him for ordinary, so step outside the box and DON’T BE ORDINARY!